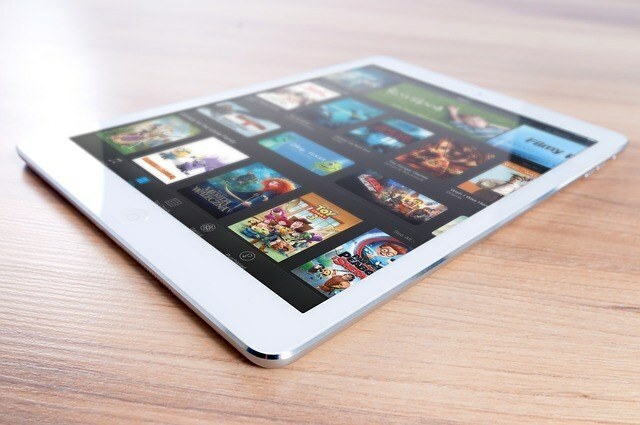 Every now and then, the public is hearing news about different hardware and software manufacturers releasing their own flagship tablet that pose as a threat to the dominating iPad. With this increasing variety of tablets, some people may end up in confusion but certainly, a lot more will be delighted by having more options when it comes to features, size, and most of all budget. And with the accessibility and affordability of high speed internet these days, people will certainly find it worthy to buy gadgets that they can make the most out of when connecting it to the internet. For starters, some sites allow you an in depth comparison of high speed internet that will suit every consumer’s internet connection needs. Today, the tablets that are always present in the never ending debate as to the best tablet today are the Nexus Tablet, Kindle Fire and iPad. Let’s briefly rummage into these aforementioned tablet’s features to see which of these is the best choice in the tablet arena. Considering the variety of rich media these days, the clarity of the display has been an important factor of a lot of devices including tablets. In this category, iPad is the winner, hands down, due to the bigger size and denser pixels at 9.7 inches and 2048×1536, respectively. But between the two 7-inch tablets, the Nexus 7 is better with its 1280×800 IPS display. Kindle Fire comes last with its 1024×600 IPS LCD. Again, the iPad has the upper hand in this aspect with its 16Gb, 32Gb and 64Gb versions. Nexus 7, on the other hand, has the 8Gb and 16Gb versions. While Kindle Fire comes way far behind with its 6Gb storage, users can have free cloud-based storage for all Amazon content. Let’s go next to another important feature which is the processor. Apple is powered by its own processor, the 1 GHz Apple A5X. As for the 7-inch tablets, Nexus 7 is faster with its quad-core Tegra 3 processor as compared to Kindle Fire’s 1 GHz dual-core OMAP4. With these handy devices, an exceptional battery life is important to serve its purpose or portability. If we are to look at the batteries’ specifications, Kindle Fire’s 4400mAh battery will seem to come far second to iPad’s 11560mAh. Nexus 7 comes last this time with its 4325mAh battery. However, this is where the trade-off of iPad’s amazing retina display comes in. With the amazing clarity of the iPad’s screen comes an enormous consumption of the battery which makes the battery life of 10 hours close to Nexus 7’s 8 hours. Amazon claims 7.5 hours of battery life for its Kindle Fire. The operating systems of these three tablets are Android 4.1 Jellybean for the Nexus 7, Amazon’s own version of Android for the Kindle Fire and iOS 5 for the iPad. However, the iOS 6 will be coming out in a few months. The three tablets have WiFi but only the Nexus 7 and the iPad have Bluetooth. As for the camera, the iPad has a front and rear camera while the Nexus 7 only have the front-facing camera which should be useful for video calls. The Kindle Fire has none. Kindle Fire is priced at $199, the Nexus 7 8GB and 16Gb are priced at $199 and $249 respectively, and the iPad’s tablets ranges from $499 to $699 for their Wi-Fi variants and $629 to $829 for their WiFi plus cellular variants. These three finest tablets in the industry may have different features but the best will depend upon the consumer who will be using it. Each tablet is expected to cater to a specific audience and as long as a consumer is able to make an educated decision with a tablet that he is going to purchase, he will certainly benefit from the tablet’s numerous benefits.